The Centre has sanctioned Rs 75 crore for setting up a Liquefied Petroleum Gas (LPG) bottling plant in Meghalaya which will help increase the clean fuel's penetration, especially in the rural areas of the State. A memorandum of understanding (MOU) was inked today between the Ministry of Petroleum and Natural Gas and the State government in the presence of Union Minister Dharmendra Pradhan and Meghalaya Chief Minister Mukul Sangma in the city. “I have signed an MOU to set up a bottling plant with an annual capacity of 13,000 metric tonnes. The investment of Rs 75 crore for the bottling plant will be done by the Government of India,” Pradhan said. He said that the Centre has decided to implement the Pradhan Mantri Ujjwala Yojana (PMUY) in the state in full swing while keeping in mind that the LPG penetration in Meghalaya is the lowest in the North East region. “Only 27 per cent of the households in the state are linked with LPG connectivity which is much below the national average,” he said. 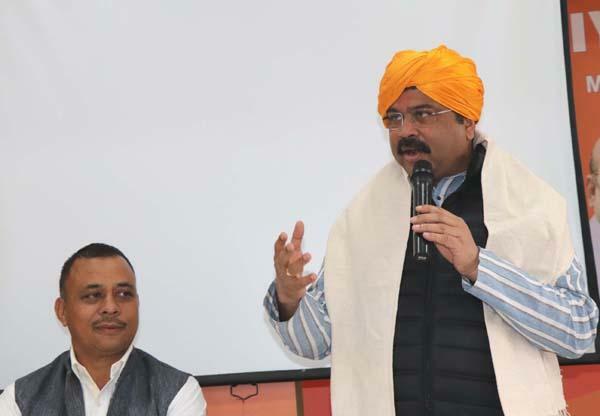 Stating that at present there are only 49 LPG distributors in the state, Pradhan said that another 20 LPG distributors have now been added for Meghalaya. Meghalaya is the only State in the region which has no bottling plant. Though a 50-acre plot at Umroi-Umjatah, about 25 km from Shillong was identified by the Indian Oil Corporation since 1996, the proposed state-owned bottling plant could not materialize due to the objection from the local village authority. Pradhan said that the new bottling plant will be constructed at an existing site located in Shillong itself. Pradhan also launched an e-Library, social media centre and the official website of the Bharatiya Janata Party (BJP), Meghalaya state, during his one-day visit to the poll-bound state. “For the forthcoming election, I am confident that the present incumbent Congress-led government is going to see the exit route and the state will have a new government in which the BJP will play a major role in the state politics,” he said.